Uprooted by Naomi Novik, Prudence by Gail Carriger, Where Courage Calls by Janette Oke, Valour and Vanity by Mary Robinette Kowal, Tour de Fleece spinning, FatCatKnits Yarn Along spinning and information, and lots of catching on Gamerly News related news, including a few prize giveways and a review of the current challenges. Father Time Cowl by Steven Fegert, knit on Sea Anemone, Black Butte colorway from Alexandra’s Crafts. The fiber is availabe only until July 31 from Fat Cat Knits. You may enter an FO for any 4oz project you finish. Using lunch boxes as toiletry kits for the kids. We are running several contests for playing games with or without knitting! The rules and some helpful tracking sheets are below. Join us for as much of the fun as you wish. Play 100 different games, 1 time each in 2015. Join theFiber & Dice Ravelry Group – you must be a member of the group to win. 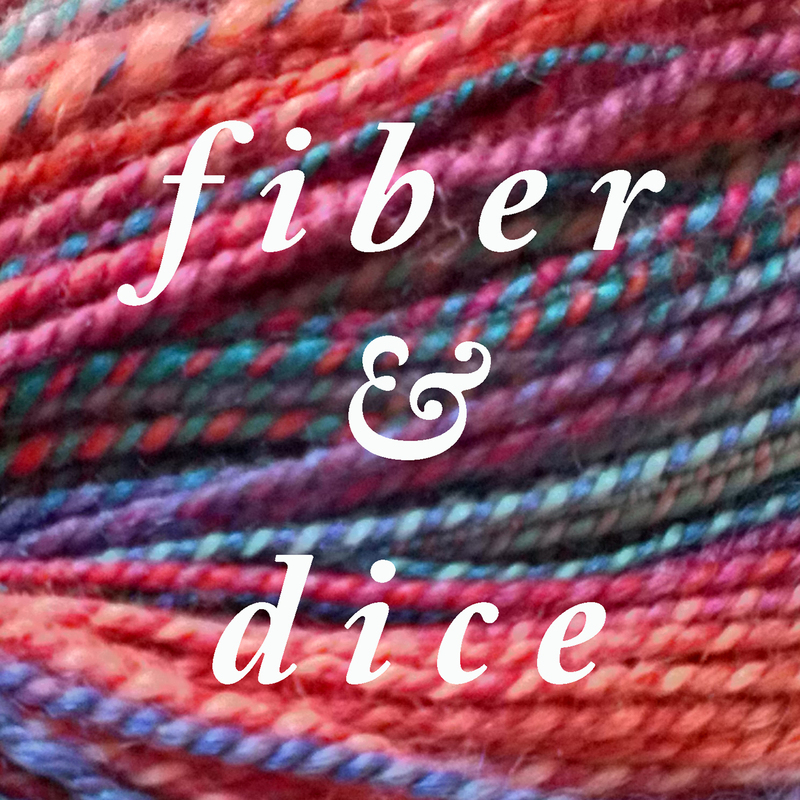 Introduce yourself on theFiber and Dice Instagram Challenge thread, tell us your Instagram handle (and your real name if you would like). Post a picture of your game shelf if you would like! (We call these Shelfies). Post pictures to Instagram when you knit and game at the same time. Add the hashtag#FiberAndDice (You may double or triple tag photos if they qualify for my other challenges). Join theFiber & Dice Ravelry Group you must be a member of the group to win. Introduce yourself on the2x2x12 Gaming Instagram Challenge thread, tell us your Instagram handle (and your real name if you would like) and let us know what games you are playing (this can be done in the same post, edited month by month). Play both those games twice that month. Post a photo of gameplay to Instagram. It is not necessary to complete the challenge to be eligible. Every hashtagged photo is one entry. We will draw at the end of the year for one winner of $30 in games from Amazon. Our list of games for this challenge on Board Game Geek. Join theFiber and Dice Ravelry Group – you must be a member of the group to win. Introduce yourself in the10x10x2015 Gaming Instagram Challenge thread, tell us your Instagram handle (and your real name if you would like) and let us know what 10 games you are going to play 10 times each this year. Post a photo of each gameplay to Instagram. We will draw at the end of the year for one winner of $60 in games from Amazon. This was borrowed from Sarah Reed’s challenge on Board Game Geek. Feel free to enter in both places if you’d like to. You may win a pattern throughout the year and still be eligible for the Game Prizes at the end. You may not win both Game Prizes or more than one pattern. I will draw for the 10×10 prize first and then the 2×2 prize. Fiber & Dice Episode 042: Escape a Second Time! Fiber & Dice Episode 42: Escape A Second Time! We won Escape at the end of Episode 33. Wicked Lovely colorway by Created by Elsie B. Spun for the Geeky Puffin Knitpalooza. Sapphire Cove by Fat Cat Knits. Sushi and Quest by Fat Cat Knits for the Fiber and Dice yarn along. Chupacabra by David Blanchard, Brian Frodema, and John Jacobsen. Published by Steve Jackson Games.